Before The Princess’ Jollibee Birthday Party, we actually already had a small family celebration in Sta. Ana Cagayan. 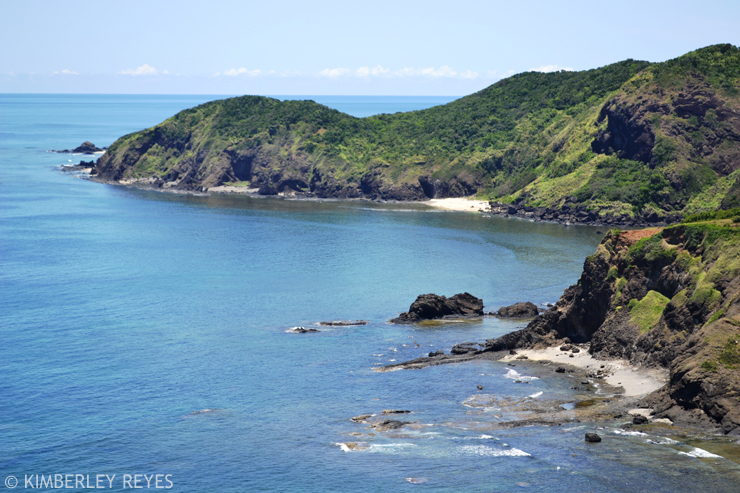 The original plan was to have a beach picnic in Nangaramoan Beach, but since Arjay’s brother mentioned his trip to Palaui Island, the location of Survivor Palaui, we all agreed to check it out. 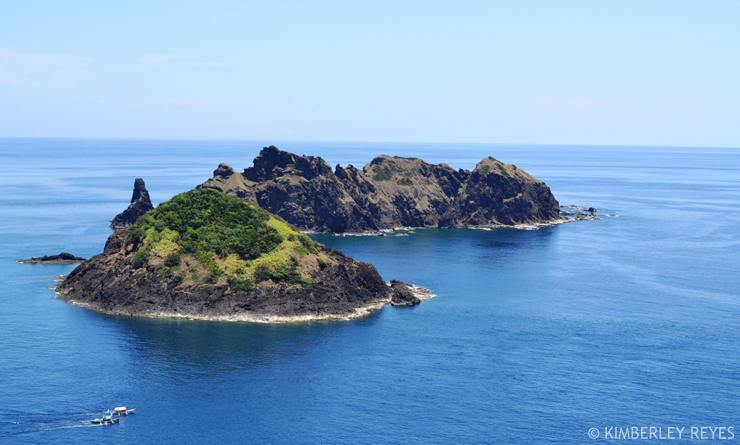 It is no wonder that Palaui Island is known as the Survivor Island because getting there would make you a survivor already! LOL. From Tuguegarao City, which is about 12 hours from Manila, you need to go on a 2.5-hour car ride to San Vicente Port (located in Brgy. San Vicenta, Sta. Ana Cagayan). 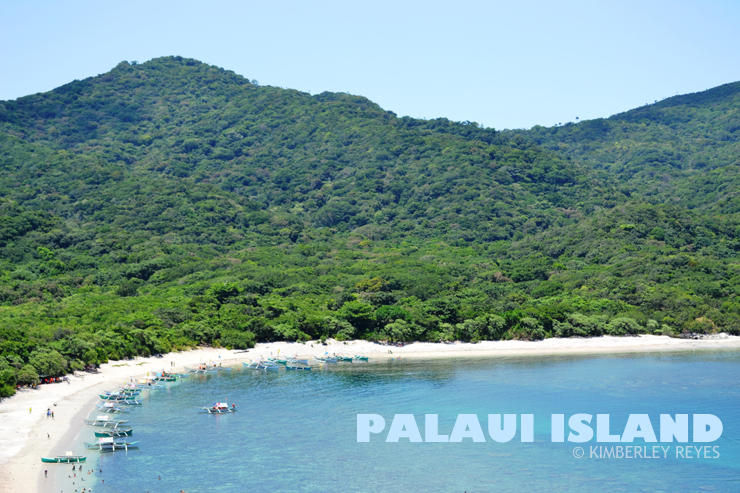 From the port, you have to board a boat for a 30 to 45-minute trip to Palaui Island. Each boat costs PhP1,800 for a maximum of 8 persons. You will disembark in Cape Engaño where you will find the famous Faro de Cabo Engaño, an 18th century lighthouse built by the Spaniards. Prepare yourself for the heat because the 15-minute climb up the lighthouse will be a challenging one. Fortunately, we brought lots of water and scarves with us! The heat going up is a killer. I remember regretting taking the hike while we were in the middle of it. My bottle of water was almost empty, the heat was excruciating, and we were barely at the top. “I should have stayed behind! I’m not built for these things!” I told Arjay. But the hubby insisted the we continue. I soon realized, though, that it was definitely worth it as the cool ocean breeze breathed on my face when we reached the top. 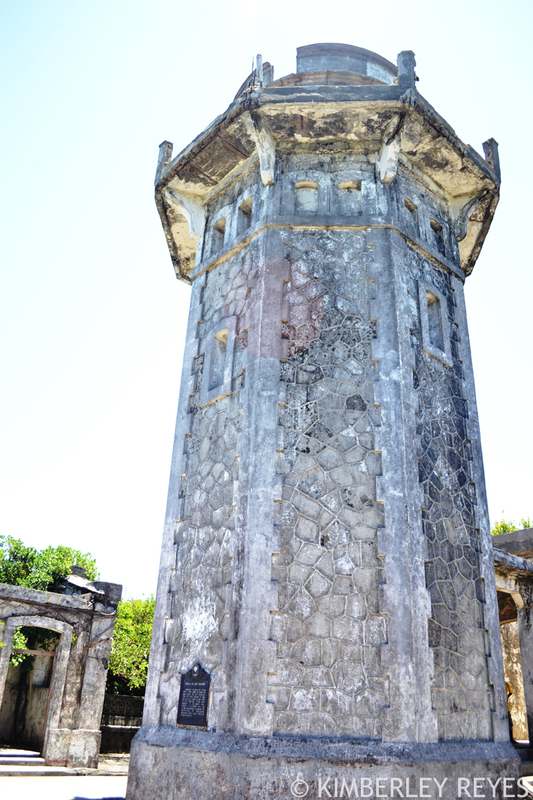 Add to that the majestic lighthouse that stood at the very top and the beautiful view of the neighboring islands. While Arjay’s siblings and cousins were resting, we explored the lighthouse. I have always been amazed about old structures. I learned that Faro de Cabo Engaño was designed by Magin Pers y Pers, who also designed Faro de Punta Capones and Faro de la Isla de Cabra. They started building it on September 21, 1888 and was completed on December 31, 1892. Out of curiosity, I asked our guide to take us up the lighthouse. It was wonderful seeing the original materials and structures inside! Be extra careful, though, because the steps and flooring are old and very fragile. 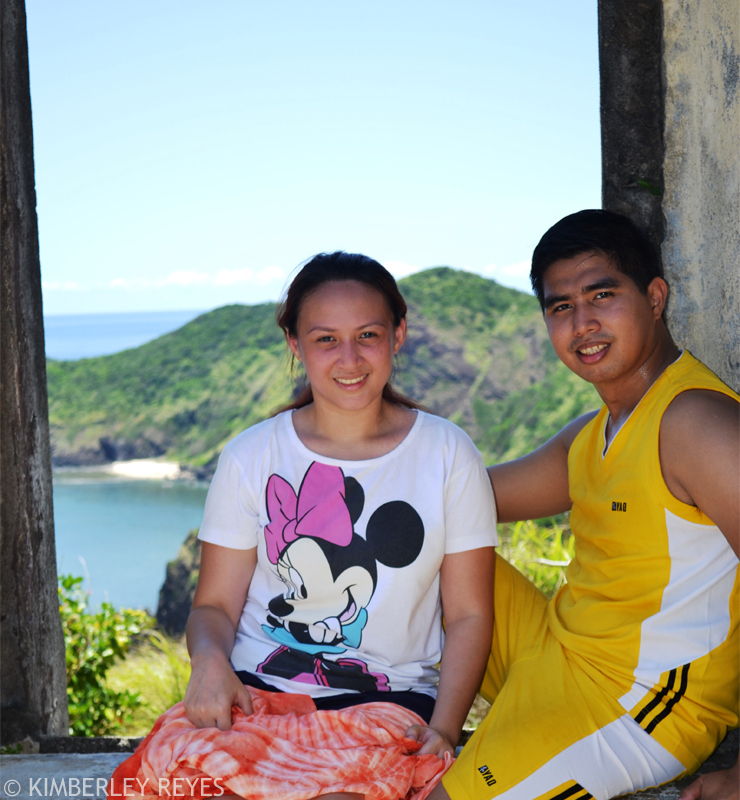 After our tour around the lighthouse, Arjay and I took a few minutes of rest to enjoy the view from the top. Although the hike up Faro de Cabo Engaño was something we enjoyed, I will have to advise against taking the kids up there because of the heat. Plus, there are no fences that will keep children away from the cliff so it’s dangerous. The minis did not miss out on the fun because while we were hiking, they were busy collecting shells and catching hermit crabs with their uncle! After the hot hike up the lighthouse, our guide took us to the hidden waterfall inside Palaui Island. 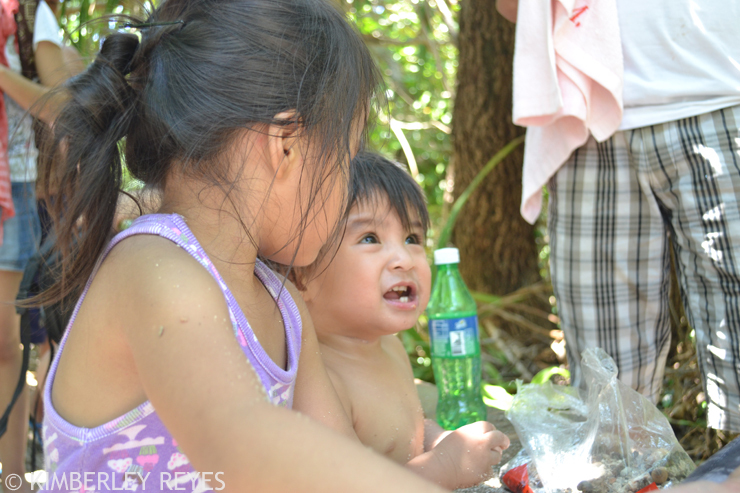 It was a tiring walk from the shore to the waterfall, but after feeling the cold water rush over our heads, we immediately felt refreshed! It usually just takes about 5 minutes from the shore to the waterfall, but since the minis preferred to walk than be carried, it took us about 15 minutes. That’s totally fine because walking allowed them to explore the surroundings. We carried them on our way back, though, since their waterfall dip was so refreshing that they both fell asleep! We headed back to San Vicente Port after our Palaui Island adventure to have lunch in Nangaramoan Beach, which is just a few minutes drive from the port. It is! Just prepare for the heat (and the large waves). Palaui Island looks like such a beautiful island. I hope I can visit that place soon. Wow, 15 minute climb! How tall is it? That is tiring, but fulfilling afterwards. I’m not sure about the height. But I remember our guide telling us that there are over 200 steps going up- not much, but the heat made the climb super hard. Unfortunately, since everyone was feeling so hot from the trek, we all jumped into the waterfall and totally forgot about taking photos. Hahaha! oh wow. seeing you feature it on your blogs makes it more real to me. it’s so beautiful! That’s a long trip to get to paradise! But it looks scenic! Wow, adventure time! I remember tuloy, during a work trip to El Nido, I had to trek up to the highest point of one of the island so that our team could take a photo. Sabi 15 minute trek lang. It took me 45 minutes. By the time I got to the top, they were done na and it was time to go down. Toinks. I am so out of shape haha. Luckily, I had the camera with me so kahit it took me a while to reach the top, wala silang choice but to wait for me! Hahaha. Wow, congrats! I don’t think I can do this with my son. He always say, mommy, I’m tired. hehehe! My 3-year old does that too. When she says she’s tired, we just rest for a while then we continue. Sabi nga ng husband ko, “Rest if you must, but don’t quit.” Hahaha! Wow. I salute you for the guts to travel with the two minis. I cannot even see myself going as far as Batangas with the mine. 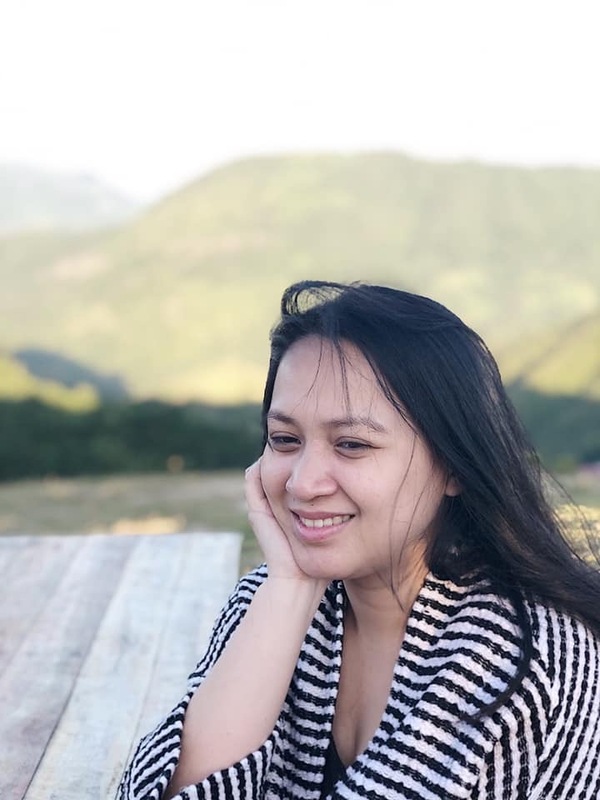 Though I hope I’ll be brave enough someday, considering that I do not have a driver with me plus the nega mom won’t let me travel far enough with the grandkids. haha.